Originally said to have been discovered in the 1940s, Siberian Charoite did not enter into public knowledge until 1978 when it was first documented. It is an extremely rare mineral, known only to be found in Siberia. It derives its name from the Russian “chary,” meaning charms or magic, and should not be confused for the nearby Chara River, which it is also said to be named for. 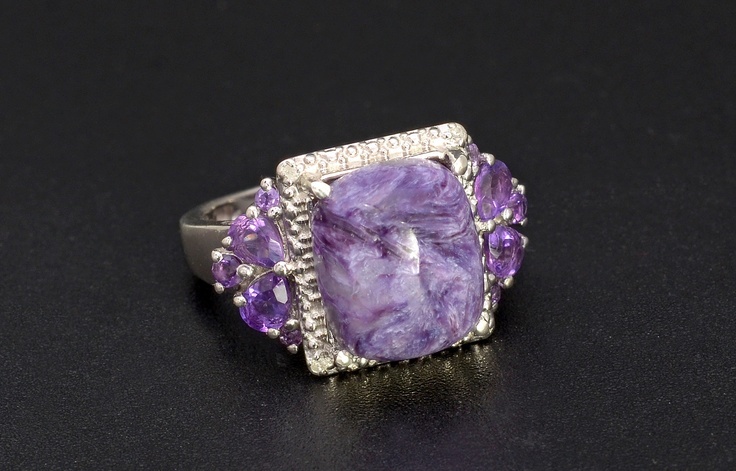 The stone’s coloration ranges from lavender, to lilac, to violet and purple. It also includes a swirling cat’s eye effect found in some gemstones known as “chatoyancy.” It possess a pearly, silky luster, and is a highly sought after gemstone. 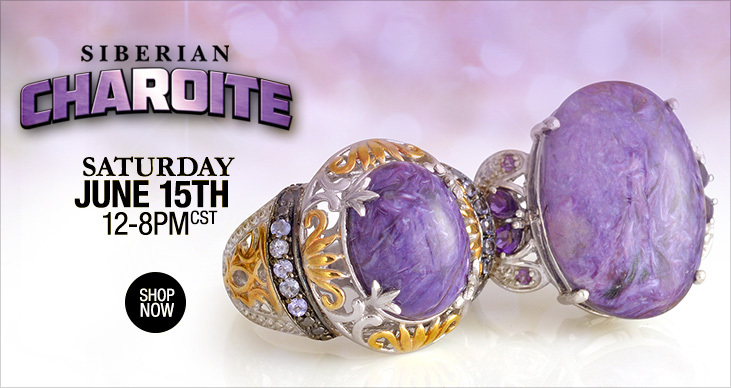 We’ll be featuring this fantastic stone for 8 hours on Saturday, June 15th, so be sure to tune in so you can catch a glimpse of how truly amazing the Siberian Charoite really is! In the meantime, feel free to check out the preview or our Charoite show below, or click here to browse our Charoite Gallery on Pinterest.